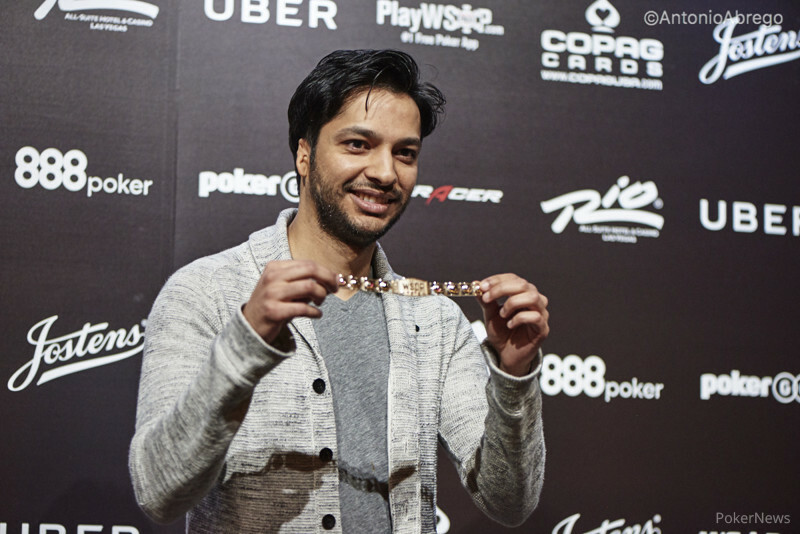 In a thrilling finish to Event #52: $1,500 No-Limit Hold'Em, it was first-time WSOP bracelet winner, Mohsin Charania, coming out on top to complete the Poker Triple Crown. Charania defeated Cary Katz in a heads-up duel that went past the midnight hour. 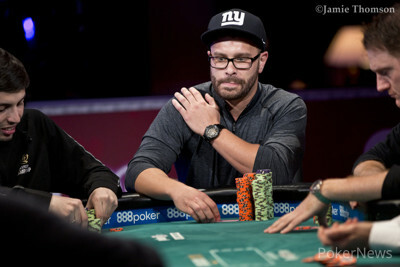 Katz was also looking for his first WSOP bracelet but will be taking home $225,181 for his efforts today. With this win, Charania has now amassed over $5.6 million in earnings, making this his fifth outright win. Impressively, three of those combine to make him a triple crown winner, with Main Event wins on the European Poker Tour, the World Poker Tour and now a World Series of Poker bracelet win. He is just the sixth player in history to win the triple crown, with the likes of Gavin Griffin, Roland De Wolfe, Jake Cody, Bertrand 'Elky' Grospelier and Davidi Kitai. This $1,500 event attracted many of the top pros and they didn't shy away from making the presence known. Some of those to make the money include Rainer Kempe (15th place - $17,316), Jason Mercier (17th place - $13,807), Richard Seymour (24th place - $11,144), Eugene Katchalov (35th place - $9,107), Dan Heimiller (44th place - $7,536), Tony Dunst (96th place - $3,177), Jesse Sylvia (120th place - $2,884), Barry Greenstein (156th place - $2,477), and Jeff Madsen (187th place - $2,346). That wraps everything up for another event at the WSOP, but continue following along with the PokerNews reporting team for all of the live updates on future events. Hand #169: Katz raised all-in for just under 1,000,000 on the button and Charania instantly called. Katz tabled and Charania was in a dominating position with . The flop came and Charania was still way out front. The turn card gave Katz a flush draw to hit along with a king. The river bricked out and Katz was eliminated in 2nd place while Charania celebrated with his excited rail. Hand #163: Cary Katz limped, Mohsin Charania moved all in and Katz mucked. Hand #164: Katz got a walk. Hand #165: Katz limped and Charania checked. The flop came and both players checked. The turn was the , Charania bet 125,000 and Katz mucked. Hand #166: Charania limped and Katz checked. The flop came and both players checked to the on the turn. Katz bet 200,000 and Charania folded. Hand #167: Charania got a walk. 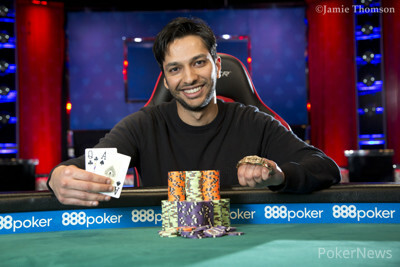 Hand #168: Charania limped on the button and Katz shipped all-in, forcing a fold from Charania. Hand #158: Cary Katz raised to 300,000 and Mohsin Charania called. The flop came and both players checked to the turn. Katz bet 200,000 and Charania called. The river was the and both players checked. Both players had a king with no kicker and chopped the pot. Hand #159: Charania called from the button and Katz checked. The flop was and Katz bet 120,000. Charania called and the came on the turn. Both players checked and the fell on the river. Katz bet 380,000 and Charania called. Charania tabled to win the hand. The button was not moved. Hand #160: Charania limped from the button and Katz checked. The flop came and Katz checked to Charania who bet 125,000. Katz raised to 300,000 and Charania called. The turn was the and Katz led out for 400,000. Charania raised to 2,000,000 and Katz laid his hand down. Hand #161: Katz called from the button and Charania checked his option. The flop came and both players checked to the turn. Charania checked again and Katz bet 200,000 to take down the pot. Hand #162: Charania moved all-in on the button and Katz folded. Tournament officials are bringing out the gold bracelet and setting the table up for heads-up action. Meanwhile, the two remaining players are taking a 5-minute break. Hand #157: Mohsin Charania raised to 250,000 on the button and Ageloff defended his big blind. The flop came and Ageloff checked. Charania bet 225,000 and Ageloff check-raised to 680,000. Charania moved all in and Ageloff called. Ageloff was at risk and very behind with , while Charania tabled for a straight. 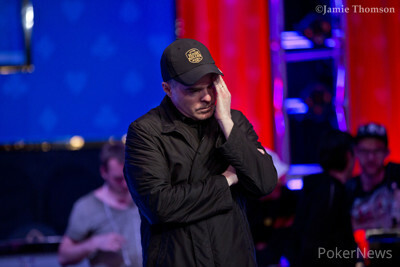 The turn was the and Ageloff picked up a flush draw, but the river was the and Ageloff was eliminated. Hand #156; Brandon Ageloff raised to 270,000 on the button and raked in the pot. The final three players are on their last break of the day. Mohsin Charania holds more than half of the chips in play, with Cary Katz and Brandon Ageloff within close proximity of one another. The remaining players will play for thirty more minutes, and if the tournament has not concluded, they will come back at noon tomorrow to play it out.